The data for this visualization comes from the American Community Survey which is completed by the US Census Bureau. I used the 2014 One Year Estimates Public Use Microdata Sample which can be found on the ACS Website. 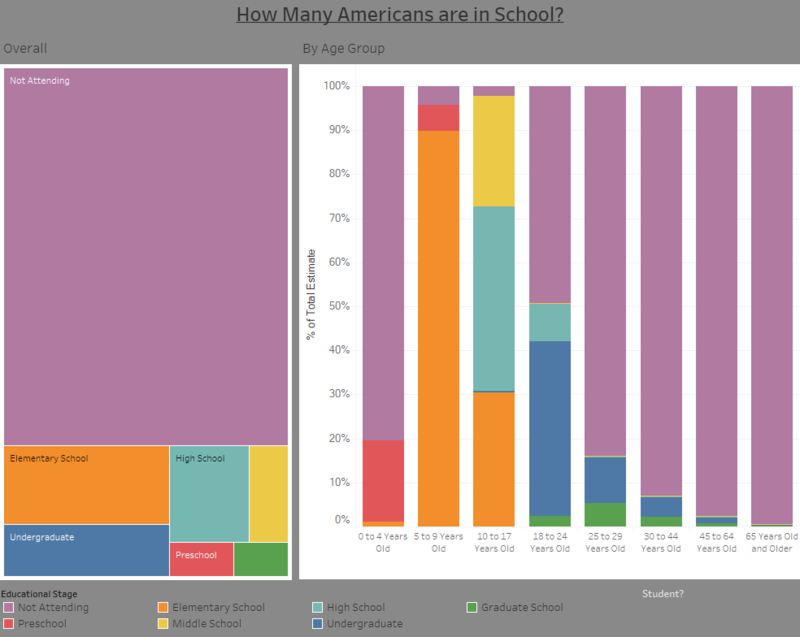 This visualization uses Tableau to show what percentage of the population is attending some form of school.